As people are able to return to their homes, the reality of the devastation becomes clear. LINCOLN, Neb. – "We have not had a disaster that has been this widespread in the state, I don't think, ever," Gov. Pete Ricketts said March 18, while visiting Wood River. "We've had disasters where we've had a greater loss of life. 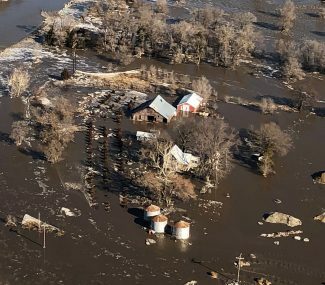 But as far as how many places have been touched by this, I don't think there's ever been a disaster this widespread in Nebraska." As people are able to return to their homes, the reality of the devastation becomes clear. Overnight, more cities made emergency declarations bringing the total to 75 as of March 19. There are now 65 counties under emergency declarations, as well. That's nearly 70 percent of the state's 93 counties. Recovery is beginning to occur in many places, and knowing where to turn for information on what to do next can be overwhelming. The Nebraska Emergency Management Agency website is continually updating information to answer the many questions on resources available. You can access that information at https://nema.nebraska.gov/. There are helpful documents that can answer many questions on what needs to be done. Farmers who have lost machinery or livestock should report to the Farm Service Agency office. County office contact information can be found on the agency's website at https://www.fsa.usda.gov/state-offices/Nebraska/index. Nebraska Strong is not just a hashtag; it's a way of life. Nebraskans and people from throughout the country are offering their help. All donations – monetary, goods and services, volunteers – are being coordinated through Nebraska 211. To access Nebraska 211, dial 211 within the state. Outside of Nebraska, call (866) 813-1731. Federal Emergency Management Agency representatives were in Lincoln Tuesday to work with Bryan Tuma, director of NEMA, on an expedited declaration of emergency to submit to the White House. In addition, Vice President Mike Pence will be visiting to survey damage with Gov. Ricketts.  Governor's Emergency Declaration: Gov. Pete Ricketts, in consultation with the Nebraska Emergency Management Agency, issued an emergency declaration effective March 12, 2019, in anticipation of severe weather issues set to impact the state. Details about the declaration can be found here: https://governor.nebraska.gov/press/gov-ricketts-issues-emergency-declaration-nebraska-prepares-potential-historic-flooding.  53 counties, 54 cities and two tribes have issued emergency declarations.  Monetary donations can be made to the Nebraska/SW Iowa Red Cross Disaster Relief Fund. Donations of water can also be made to local media for distribution.  Residents who need help with home cleanup, cutting trees, removing drywall, insulation, flooring, furniture and appliances or other physical labor-type jobs, can call the Crisis Clean Up Hotline at (833) 566-2476 to get on a needs list. Nebraska Volunteer Organizations Active in Disaster (VOAD) is coordinating volunteers from across the country to assist with cleanup. For more information, go to https://bit.ly/2UMNtRy.  For those with other needs, such as food, shelter, clothing and personal goods, call 211. 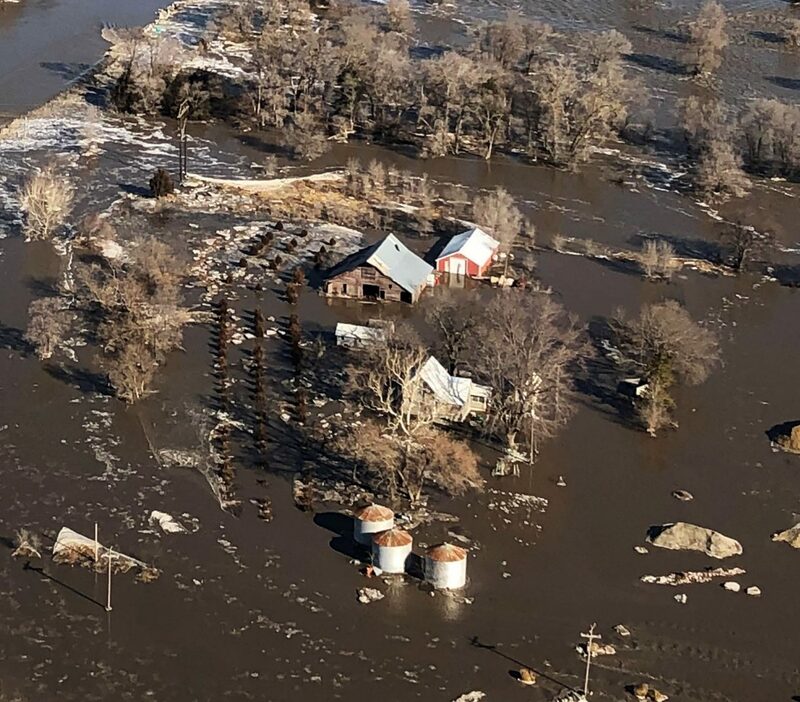  For veterans affected by recent flooding in Nebraska, the Nebraska Veterans Aid may be able to assist with food, clothing, and emergency housing (i.e. hotel accommodations). Applications will be considered on a case-by-case basis to determine the amount of assistance a veteran and/or their eligible dependents would be able to receive. Additional information on the program is available here: https://veterans.nebraska.gov/nva. Veterans should apply for NVA through their County Veteran Service Officer. 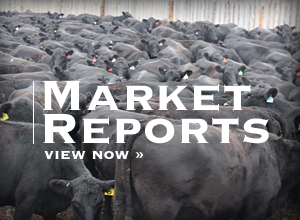  The Nebraska Department of Agriculture has put together a list of disaster relief resources for Nebraska farmers and ranchers seeking assistance due to severe weather. This list includes information about NDA's Hay and Forage Hotline and programs from the Farm Service Agency. For information go to: http://www.nda.nebraska.gov/resources.  Gov. Ricketts has issued an executive order temporarily waiving overweight limits to help speed disaster relief response times. A copy of the executive order can be found by clicking here.  Information on road closures can be found on the Nebraska 511 map at https://www.511.nebraska.gov. Nebraska 511 provides the most up-to-date travel conditions. 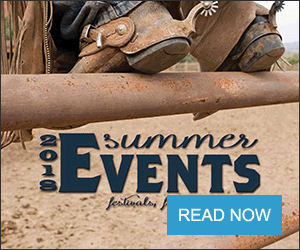 Nebraska 511 can be accessed through the 511 smartphone app or by dialing 511.  The Nebraska State Patrol Highway Helpline is available 24 hours a day for motorists in need of assistance. Drivers can reach NSP by dialing *55 from any cell phone or 911 in an emergency.